Whether in the realms of technology, marketing, finance or public policy, this past year has held some unexpected developments, as well as the continuation of some ongoing trends. 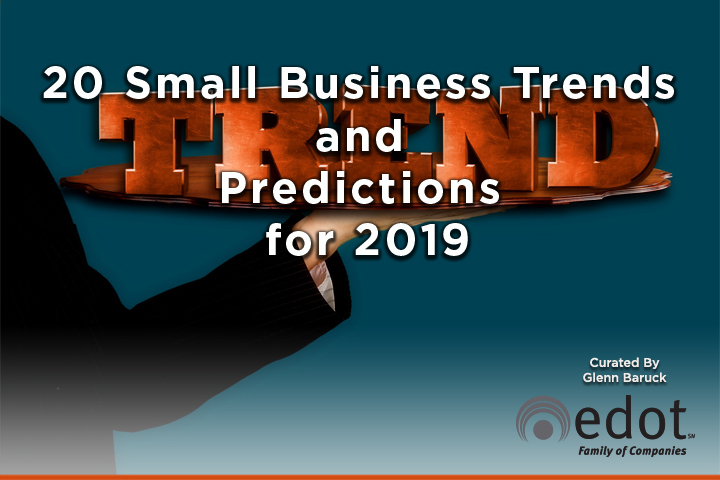 This article by By Adam C. Uzialko, Staff Writer for Business News Daily, highlights some of the most important trends and predictions on the horizon in 2019 for small business owners. If you already own or are thinking of starting a small business, these all should be on your radar.